The RAC Foundation and Campaign for Better Transport have joined forces to express serious concerns about transport aspects of the Government’s new planning proposals. 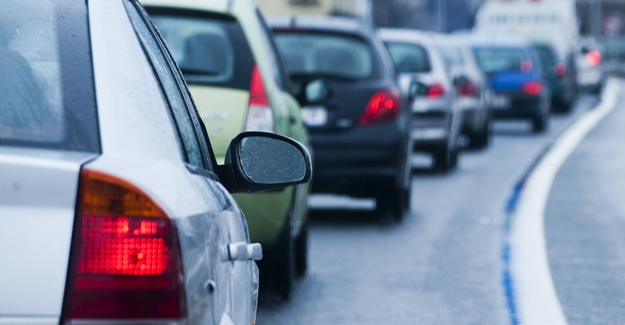 The groups have written to Planning Minister Greg Clark to point out that the draft National Planning Policy Framework (NPPF) could lead to out-of-town office developments which would create severe congestion. They are also worried that the NPPF would make it more difficult to prevent developments that would cause congestion and traffic jams and for councils to require a travel plan to mitigate the transport impacts. • There should be a presumption in favour of locating development next to existing public transport (or where it can be served by improved public transport). This would enable more cost-efficient development with less need for new infrastructure. • The impact of new developments on traffic and road congestion should be treated as a material consideration and therefore as grounds on which developments could be rejected or sites not designated for development in plans and strategies. • Linked to this, there should be a requirement for developers to assess the traffic and transport impacts and accessibility of their developments and produce a travel plan with measures to reduce impacts. This might include promoting remote working and multi-occupancy/pool cars as well as public transport. The requirement for this should not be left to local authorities as the draft suggests, though the formulation of the assessment/plan might be. • “Town centre first” policy should include commercial/office development as it did before. 1. The RAC Foundation is a charity which explores the economic, mobility, safety and environmental issues relating to roads and responsible road users. Independent and authoritative research, carried out for the public benefit, is central to the Foundation’s activities. 2. Campaign for Better Transport is the UK’s leading authority on sustainable transport. We champion transport solutions that improve people’s lives and reduce environmental damage. Our campaigns push innovative, practical policies at local and national levels. Campaign for Better Transport Charitable Trust is a registered charity (1101929).